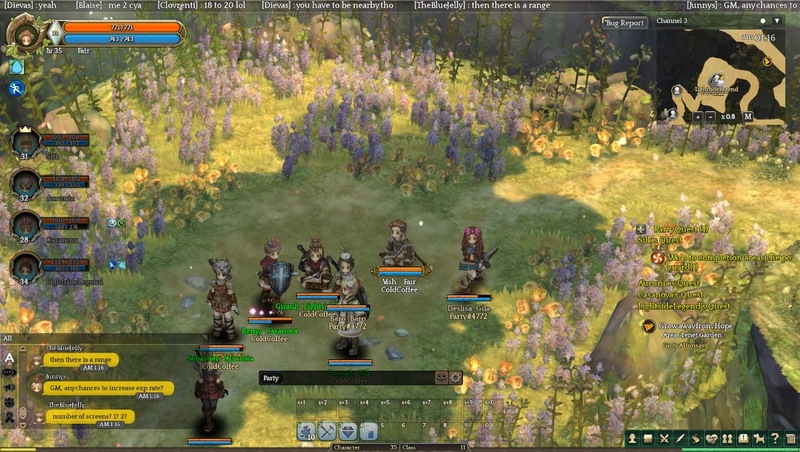 Kyubix wrote: Hi, I'm looking for guild on Orsha server. Want to know if you are there or in other server right now, and if there is any room in your guild. No, we are located on Klaipedia. Topic: [Clan] Konvict Gaming 16+ recruiting! Re: [Clan] Konvict Gaming 16+ recruiting! Might want to include a link to your website if you want people to be able to apply. After a long wait, open beta is coming! Aurora wrote: I've missed out on so much while away to finish school... any chance left of joining the beta or is it almost over? It does seem to have a good flow to it. The class page looks really nice arranged like that, perhaps add some column backgrounds to separate them a bit better. The two column layout does seem pretty good though. I wouldn't mind the change. Wonder why the reason for the coloring is. If you're a returning member, please register on our new Guild Site! You can click the link in my signature below! I thought you were going to say "I hope you're not allergic to fleece"
Topic: Any Europe based english speaking only guilds? Re: Any Europe based english speaking only guilds? Need to get more people online!